Huggins Honda maintains a competitive inventory of new Honda cars, trucks, SUVs and vans for our customers who live in Fort Worth, Texas to choose from. Be sure to check our current New Honda Specials and the latest Honda Incentives to take advantage of our money saving deals. Have a trade in you need to find the value of? 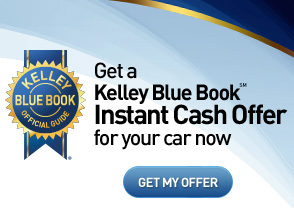 Use our online Trade Appraisal tool powered by Kelley Blue Book, the authority in used car values. You can request more information about a new Honda vehicle using the Contact US form or by calling 817-605-5607 from Fort Worth today. Test drive a brand new Honda today by visiting Huggins Honda at 7551 NE Loop 820, North Richland Hills, TX 76180. Texas Christian University (TCU) is a Fort Worth based private college of higher learning. TCU is an elite private University offering World Class School of Business, as well as other disciplines. As one of the elite NCAA Division 1 Sports program TCU has produced athletes who have become larger than life professionals. Names like Bob Lilly, Sammy Baugh, Jim Swink, and LaDainian Tomlinson. The TCU Campus takes you back to a simpler time in America. It sits on University Avenue at Berry Street, just south of the Fort Worth Zoo. Take in a TCU football game and see one of the best private college programs in the United States the next time you are in Fort Worth on a fall Saturday. We are confident that we have the Honda Certified Used car, truck or SUV you are looking for. We maintain a huge inventory of Honda Certified Used Cars, as well as a large Pre-Owned Inventory of cars, trucks, vans, and SUVs to choose from at our Honda Dealership serving Fort Worth, Texas. We put every one of our used cars through an extensive multi-point inspection by an ASE Certified Technician, who probably lives close to Fort Worth TX, before putting them in our used car inventory. The Honda Certified Used cars must pass a more comprehensive inspection to ensure they are of the highest quality for customers who living Fort Worth. Every pre-owned car for sale at Huggins Honda has received a full detail and is ready for immediate delivery. Get started now! Browse our Used Car Inventory for sale to residents of Fort Worth, Texas today. Looking to sell your current used Honda auto? Please inquire about our pre-owned Honda Buy Back Program available to Fort Worth residents today. The Huggins Honda experienced and expert finance staff is eager to share their credit abilities with you and they believe they can get credit for everyone. We encourage you to browse our online inventory, schedule a test drive and investigate our Honda Finance options including customers with bad credit, bankruptcy, and first time buyers with no credit. You can also request more information about a vehicle or financing in Fort Worth, Texas, by calling 817-605-5607 today. Use our secure Honda Credit Application to get Pre-Approved for a loan online anywhere WiFi is available in Fort Worth. Does your Honda need repair or maintenance? We welcome you stop by Huggins Honda for Honda Service at our Dealership serving Fort Worth, TX, or contact our Service Department at 817-485-7121. We will be happy to serve you! At Huggins Honda our ASE certified technicians are committed to get you back on the road to Fort Worth fast, if possible, and to keep your Honda vehicle running smoothly for years to come. We offer Honda Service, Maintenance, and Warranty Repair, as well as rapid Texas State Inspection, usually done in minutes, near Fort Worth TX. All vehicle repair service includes a multi-point inspection of your car, truck, or SUV to identify problems before they occur, and a warranty that is backed by Huggins Honda for your peace of mind. You can trust Huggins for all of your automotive service needs. Schedule Service online today at the Dealer who should be your first choice for a Honda Service Center serving Fort Worth TX. Need a Honda Part? Searching for a place to get a quality OEM Honda oil filter, air filter, brake pads, brake rotors, fuel filter, or cabin filter? Huggins Honda, serving Fort Worth, Texas serves Honda customers with genuine Honda Parts, including collision repair parts to repair auto body damage from an accident in the Fort Worth TX region. Huggins Honda also has a full line of all the most popular Accessories for your Honda car, van, SUV, or truck. Call Huggins Honda, or use our secure online Parts Order Form today. The Huggins Honda Parts Department serves residents of Fort Worth, Texas.